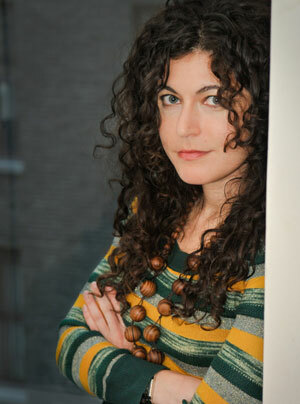 Brooklyn resident Emily Bobrow is editor of More Intelligent Life, the online version of The Economist’s quarterly culture and style magazine. She is also a contributor to The Economist's books and arts section and has written for The Believer, the New York Observer, and TimeOut New York. TMN: Any cultural conflicts in working for Brits from the U.S.? Emily Bobrow: It is all too easy to underestimate the differences between Britain and America. We seem so similar, what with the language. The London offices are a hive of editors and writers who chat, debate, drink, and judge. Everyone’s sleeves are rolled up for the work of putting out a magazine. In our slightly lonesome New York bureau we enjoy the privileges of distance, but the magazine reaches us like a disembodied head. We don’t know the tussles. We don’t smell the sweat. London can occasionally seem like an incestuous place. Everyone is incredibly polite, but there is a minefield of unspoken rules. I’ve grown familiar with such tricks as the shaming rhetorical question (Well, that wouldn’t make much sense, would it now?) and the offhandedly tossed gauntlet (I suppose I just don’t see the point in that.). It keeps you on your toes. I’ve also noticed that the English work hard but pretend not to, while Americans often strain to look busy yet accomplish little. TMN: What’s it like to edit the online version of a magazine as opposed to the print product, in terms of behind-the-scenes? EB: The cycle of editing a print product is distinct: slow beginnings, procrastination-friendly middles, bursts of pre-deadline activity, followed by a satisfying catharsis. Wash, rinse, repeat. Online, things are a bit different. The grind is daily and less rigid. We have a new story up on the site every day and an active blog; writers submit their work, which I then turn around, add graphics, and publish on the site (with help from an assistant editor and a contributing editor in New York). The effect is more like a churnthere are always more pieces than time. Catharsis is elusive. I recently edited The Economist’s Books and Arts section for a couple of weeks, and I was surprised by how different it felt. The experience was much more collaborative, less isolated. Publication plans are announced at a big meeting; editing is compressed into a couple of days (with notes and feedback from the editor-in-chief); pages are created with help from people in graphics and art direction; stories are cut for space; and thenbam!a physical product is born into the world. After years of online editing, the work of making pages was disconcertingly satisfying. What a pity no one wants to pay for print anymore. TMN: Is the condition of print media as dire as everyone says? EB: Of course it is. When was the last time you bought a newspaper? What was the last magazine subscription you shelled out for? We know information is valuable, and some of the hardest to acquire (war coverage, investigative studies) is also the most expensive to pay for. We learned in the last year that print advertising is too vulnerable to comfortably cover such costs. What we haven’t learned yet is just how publishers plan to pay for print journalism going forward, now that we all feel entitled to have our news instantaneously and for free. TMN: What is your favorite object in your office? 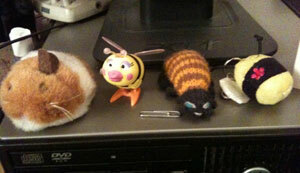 EB: I have a mini-menagerie of animal toys on my computer. Beneath the toasty, Norman Rockwellian glow of my screen, several bees and a hamster look at me with plaintive eyes. Are you getting enough sleep? they sweetly ask. Also: Do you really need that beer? and Really, another vitamin? How many B-complex tablets does it take to become a bionic nerd? Like children, these creatures are not always pure of heart. TMN: What’s something you’re not good at but wish you were? TMN: Why isn’t Intelligent Life written anonymously like The Economist? EB: Because thoughtful people are often skeptical of authority, papers tend to deliver their editorial pronouncements anonymously. For a paper like The Economist to work as it doesas a weekly digest of what you should know about the world, capped with advice for leadersit helps to imagine the author as some sandy-haired Brit with a sonorous voice, furrowed brow, and grand library, who exhales sage analysis from his leather armchair. No one wants to take advice from some sweaty journalist in a bad shirt. The Economist’s anonymity also helps journalists put away their egos and toe the party line, which involves not only a cohesive political sensibility but also a cleanly distilled writing style. Intelligent Life, on the other hand, is full of the color that The Economist might leave out. Because we all know that the world is filled with flawed, beautiful, hungry, arrogant, and wondrous people, it makes sense to crave stories both by and about them. TMN: What’s the best advice you’d give to your childhood self? EB: I guess it would be that the things that feel hard will in fact pay dividends with time. Also, don’t sweat the hair; it’s about to get better.